Home » Company » How a Radiology Billing Service can help you improve Bottom Line? How a Radiology Billing Service can help you improve Bottom Line? Radiology is a unique medical specialty that utilizes imaging to diagnose and treat diseases for various other specialties and make recommendations to referring doctors, if more scans are required. Managing radiology medical billing in a busy practice can be extremely stressful and time consuming. For instance, billing Medicare and private payers for PET scans and other imaging procedures is complex and requires significant coding expertise. This is where a professional radiology billing service can make your life simpler. Experts at an outsourced radiology billing company can ensure accurate coding and timely submission of your medical claims. This translates into quicker reimbursements and a steady cash inflow. These companies and their trained coders and billers stay updated on the latest changes in health care and insurance. They can make the necessary changes, as and when required, to help you improve your bottom line. Professional radiology billing companies, such as Emerald Health, promote end-to-end revenue management to promote reimbursements and reduce denials. 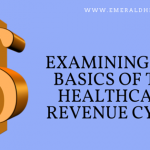 To learn more or to take advantage of the services offered by a reputed radiology billing services company or other medical billing service company, call Emerald Health LLC at 855-650-9906 Today. Remember that you pay the billing company after you get paid, while you receive superior service at a fraction of the cost!